At Barnard and Associates Remodeling, Inc. our customers are our most valuable asset. Without their dreams of remodeling or renovation, we would not exist. Our goal is to educate our clients about the process and then set their expectations. It is important to remember not only the monetary aspects of a project, but the clients dreams and expectations of how the project will look when it is completed. We at Barnard and Associates Remodeling, Inc. strive to provide the best customer service in the industry. We go out of our way to make sure that each job is completed in a professional manner that will make the homeowners proud to show our work. Along with our goal to provide the highest quality customer service we are also dedicated to creating a positive remodeling experience for each and every client. We will do all that is within our means to insure every customers project becomes a harmonious blend of old and new. Our passion for excellence is born from a desire "to make each client a customer for life". It is our goal to make each client's dream a reality! 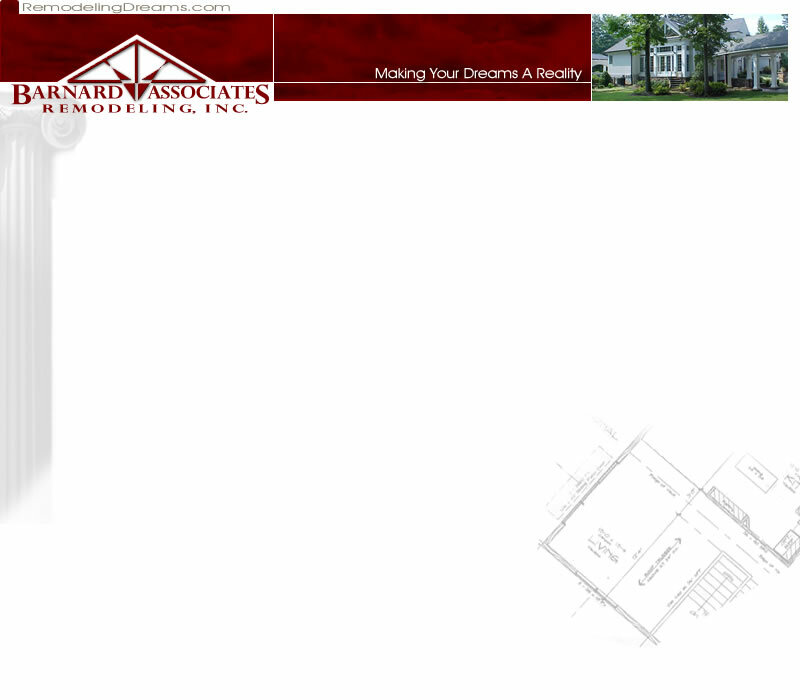 Site Design by Lanziant Group - Lanziant Graphics and Design.